POP EVIL have released a new music video today for their newest single, "Colors Bleed". The band brought back director Columbia Tatone, who also directed the recent "Waking Lions" video. Watch the video on KNAC.COM HERE. "The #MeToo movement has been a paramount inspiration to my creative endeavors," says Tatone. "The courage of individuals has inspired and empowered me, not only as a female director but as a truth-seeker." “"Colors Bleed" highlights togetherness: standing together against global issues. #MeToo has put the spotlight on equality, and through this video, we were able to portray the many ways we’re pitted against each other and how we can’t fight fire with more fire. As men and women, we have come alongside one another and stand together peacefully. I’m grateful and honored that Pop Evil invited me to collaborate with them and be a part of their journey." This is the second song we've heard from POP EVIL off of their new LP slated for release next month. 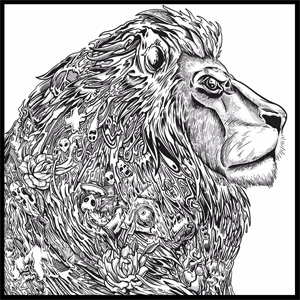 The band debuted "Waking Lions" back in October and it is quickly approaching Top 5 at Rock Radio with no signs of slowing down. Both "Waking Lions" and "Colors Bleed" serve as iTunes instant gratification tracks, meaning fans who pre-order the new LP on iTunes will get the songs as instant downloads. POP EVIL also had the opportunity to have their song "Be Legendary" debut on ESPN during last week's 2018 CFB Playoff National Championship game. ESPN loved it so much they picked up the song for the rest of the NCAA College Basketball Season. A studio video, which was directed by close friend Ryan Doyle surrounding their time spent at Sound Emporium Studios in Nashville this past summer, was released last week. The video is the first in a series of videos to come. It documents the band living together as they embarked on the writing process for their fifth studio LP.